In the volatile social media market, platforms can skyrocket in popularity or sink without a trace surprisingly quickly. In 2018 the most dominant services have not changed significantly, but looking ahead to 2019 it seems likely that there could be quite a bit of an upheaval on the horizon. Here are a few poignant predictions for the year ahead, highlighting the trends and events that will shape social media in the near future. While its user numbers have somewhat stagnated and its platform is taking a pounding, the challenges facing Twitter will not get any easier to overcome in 2019. In fact, it could face even tougher scrutiny from regulators and politicians, as well as from its devoted fans, unless it makes some major changes. Complaints about the corruption of the timeline by tweets from people that users don’t follow are just the start. It continues to face criticism for the way that it handles abuse, as well as the means by which it may have been hijacked to distort political debates and even interfere in elections. Even if upstarts like Mastodon seek to dethrone Twitter or profit from the potential exodus of its users, it still seems like a vital part of the social media conversation at the moment. That could change if its decision-makers do not do more to address its faults next year. Of course, companies like Casumo are leveraging this platform effectively to engage with customers and attract new users. You can follow them on Twitter to see why there may well be a ray of sunshine peeking out from behind the dark clouds that hang over this particular service. While even behemoths like Facebook have seen growth rates reduced to a trickle, image-focused platform Instagram has proven that it is the king of engagement once more in 2018. It recently hit a billion active users and is projected to pull down $5.48 billion in ad revenue this year, when solely looking at its US performance. What this means for rival services like Snapchat is uncertain, although it does seem likely that as Instagram monopolises more of the marketplace and also eats up more screen time for smartphone addicts, its power and value as a brand will only increase. That is not to say that the company is without its own issues; the recent departure of one of its founders has raised questions about how well Facebook is managing its acquisition. Critics claim that Mark Zuckerberg’s team are meddling too frequently and could cause more disruption unless they take a bit more of a hands-off approach with the platform. Instagram is unlikely to outgrow Facebook in the next 12 months, but its inevitably explosive expansion will surely raise questions about how much it even needs the stewardship of a company responsible for a social media service that has reached saturation point. 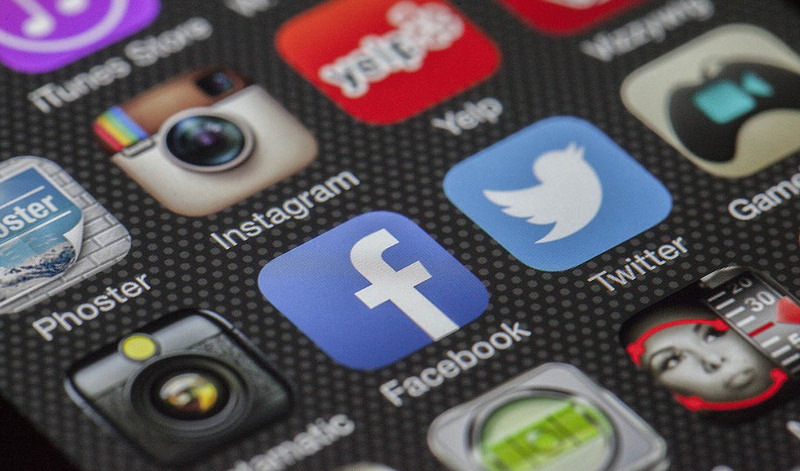 Monetising social media has largely relied on ad revenues generated by promotional posts, but in 2019 there will be ongoing attempts to combine in-app shopping experiences with existing functions. Snapchat has already announced the work it is doing to incorporate Amazon’s e-commerce platform with its Gen-Z oriented image and video sharing service. This will continue to be relevant in 2019 when people who use social media will have even more ways to buy the items that are being marketed to them without having to head to a different service to complete the transaction. Addressing security fears will be necessary if social media sites gain greater access to personal, financial info. So perhaps it is also sensible to predict that unforeseen privacy scandals will emerge in 2019, once e-commerce integration gains momentum.